Our program is free to join, it's easy to sign-up. Affiliates generate traffic and sales for websites and in return receive commission. When you join our affiliate program, you will get a custom affiliate link/code that you can share to start earning affiliate commissions with. When your unique code is used, You earn commission! It's just that simple. Store Credit: Must meet $10.00 Threshold in order to receive Store Credit. Money Order: Must meet $53.00 Threshold in order to receive Money Order. *International affiliates are subject to currency exchange fees for International Money Orders. *If money order option is selected, please note a $3.00 fee will be deducted from balance for receiving money orders. Level 1 - Receive $0.50 per bottle of BV E-Liquids when your code is used! 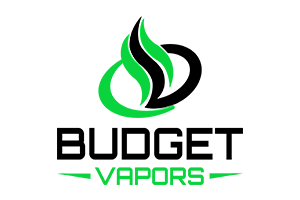 Level 2 - Receive $0.75 per bottle of BV E-Liquids when your code is used! Level 3 - Receive $1.00 per bottle of BV E-Liquids when your code is used! Level 4 - Coming Soon - Receive commission on other products! How to achieve higher affiliate levels? Q: How do I check the status of my application for the affiliation program?